When you’re searching for plumbing services in Livermore, Dublin, and Pleasanton, CA, it’s often not for a cosmetic upgrade, but a real emergency! Spewing water from a burst pipe or a leaky toilet can wreak havoc on your home’s interior fast, causing dry rot and other side effects that are unpleasant, to say the least. 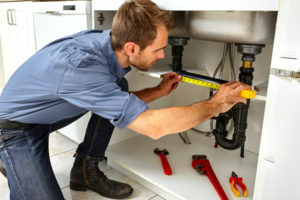 Fortunately, the plumbing team at Superior Mechanical Services, Inc. brings professionalism and a strong understanding of how to solve any kind of plumbing issue. 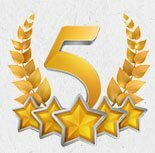 You have choices when it comes to plumbers in Livermore, but our friendly, results-oriented team can take care of you better than anyone else. Sometimes there’s a reason, but leaks and clogs can also develop over time, and suddenly become a major problem. We’ll arrive quickly and get right to work routing out the problem and leaving your sink, toilet, tub in better shape than before. When you’ve tried plungers and nothing’s helping, get a professional out to avoid the dirty work involved in finding the clog or leak. Replacing galvanized pipe with PVC rids your home of rusty buildup and brings you security from pipe bursts and other issues that can plague an older home. We’ll help you with jobs both large and small, call us for an estimate and replacement options. Get more done during kitchen prep with a garbage disposal attached to your sink. Forget dealing with a backed up sink and make clean up easier than before. We can help you with installation or fix or replace an older disposal system with our plumbing services in Livermore, Dublin, and Pleasanton, CA. Adding cosmetic upgrades to the bathroom and kitchen improves your home’s resale value and gives you enjoyment and luxury at home. You can also save money helping the environment with a high-efficiency toilet and even qualify for some rebates. Add impact to your bathroom and solve pipe issues with a replacement – instead of fixing an ugly clogged sink, consider replacing it instead, we can help. Get a traditional or tankless water installed and stop dealing with hot water shortages for good. Let us help you with maintenance and repairs for a lasting solution. When it comes to plumbing services in Livermore, Dublin, and Pleasanton, CA, we offer experience and affordable care you can rely on, so call us today at 925-456-3200 or 888-544-4111 and let us know how we can help.